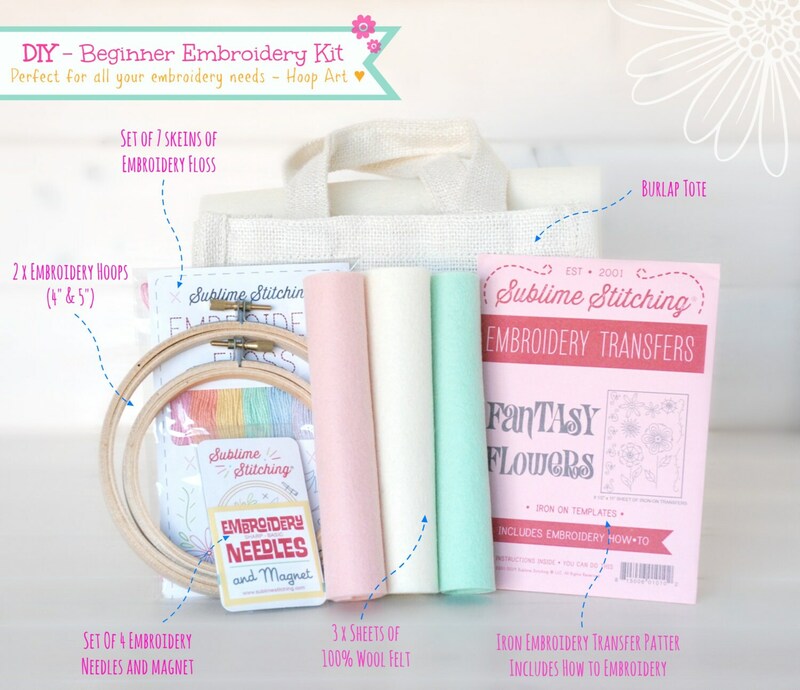 Perfect for all your embroidery needs and Hoop Art! All you need is inside a cute Burlap Tote Bag!! ➳ 3 x 100% Wool Felt Sheets of 6" x 8" : I will pick 3 colors that match best with the floss you'll pick for the felt sheets! If you want special colors, please advise in the "Notes to Seller" section at check out. If you decide to pick the color yourself, please avoid dark colors as you need to be able to see the transfer patterns, so light/soft colors work best. ➳ 2 x Embroidery Hoops (4" & 5") : These hoops can used be as Hoop Art ♥! ➳ Iron Embroidery Transfer Pattern: Choose your pattern, refer to image #4 & #5 zoom in to see names and patterns better. 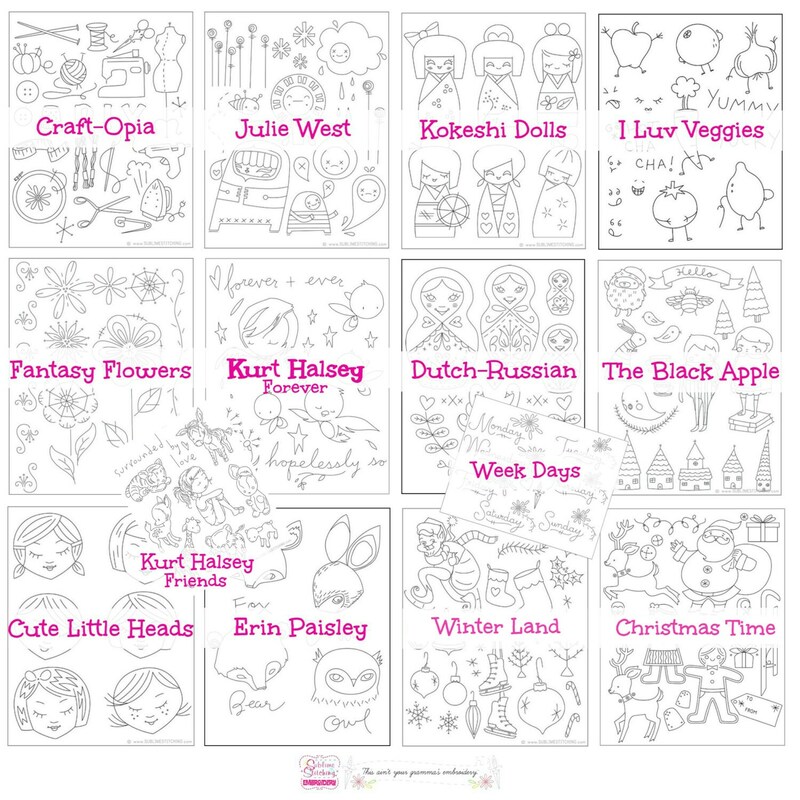 This patterns are reusable so you have endless creations. 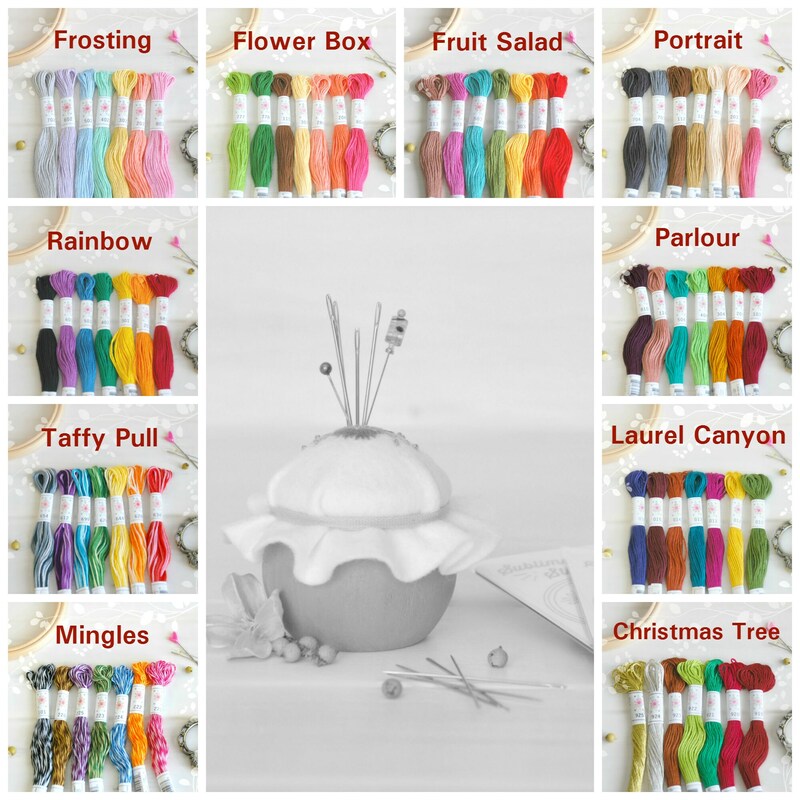 ➳ 1 x Set of Sublime Embroider Floss: Each set has 7 skeins, refer to image #4, zoom in to see Palette color better. ➳ 1 x Burlap Tote : You can stitch on this cute little bag as well!! Very sweet kit...can't wait to gift for Christmas to my 10 year old! WOW!!! This kit is adorable! 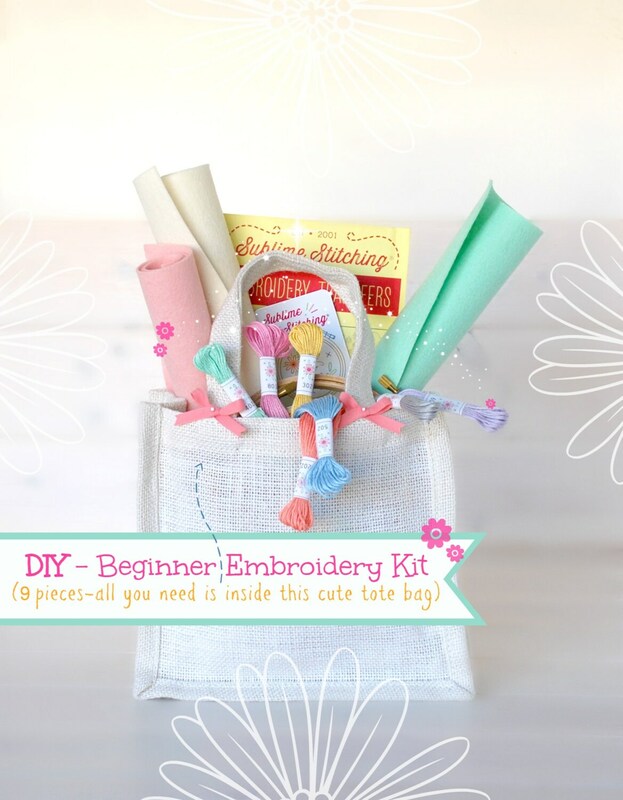 It's a gift, so we haven't used it yet, but it's adorably packaged and includes the perfect stuff for a beginner. Love it!! Super-cute kit. Came SO fast. 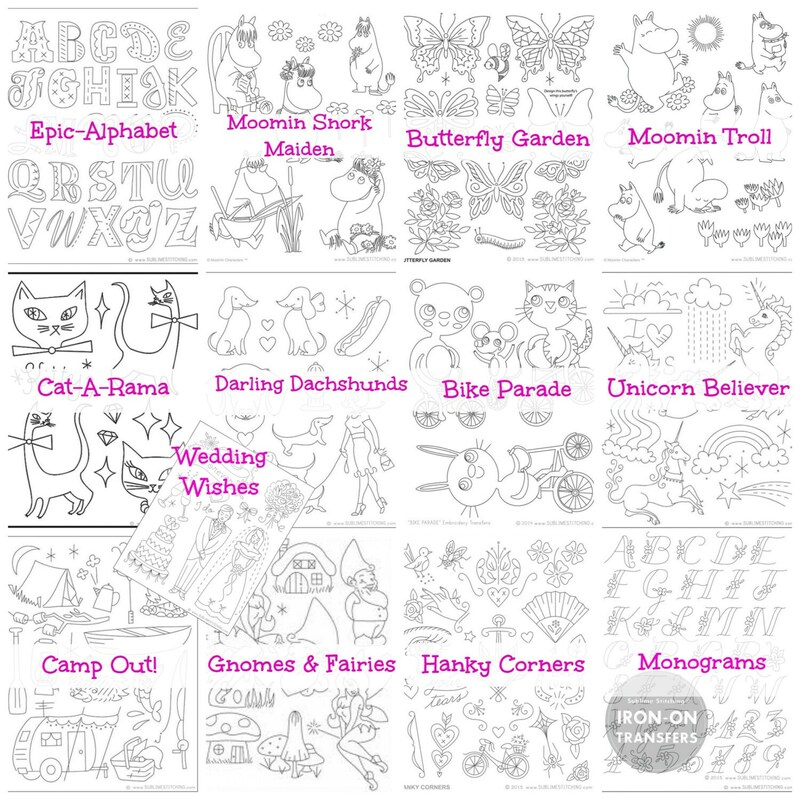 Full of wonderful high quality goodies that I can't wait to use to get crafting! Communication with Claudia was prompt and very responsive. I love this kit! It's adorable, easy to learn, and it arrived super quickly. It has gotten me hooked on a fun new hobby. Highly recommend this seller.